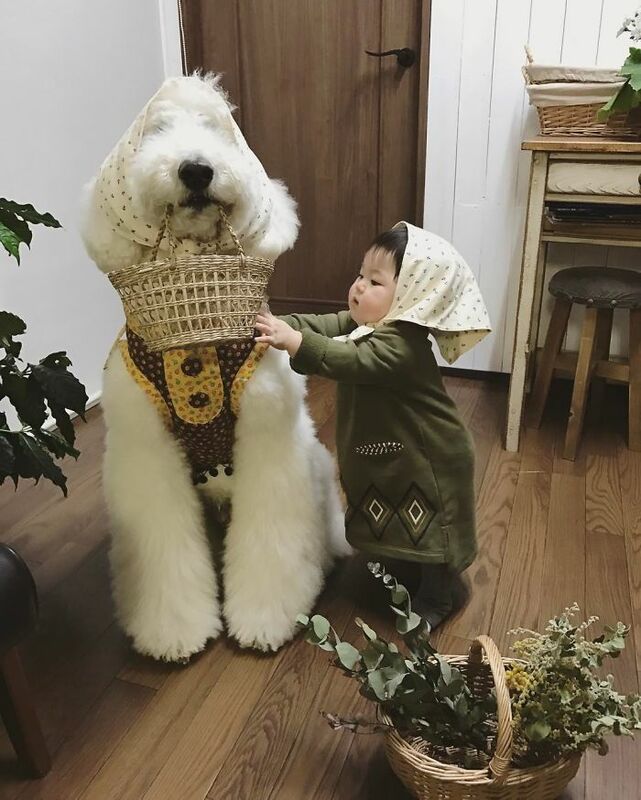 It’s not random that dogs are considered great companions in a child’s life. 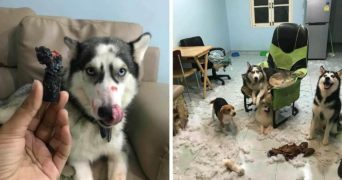 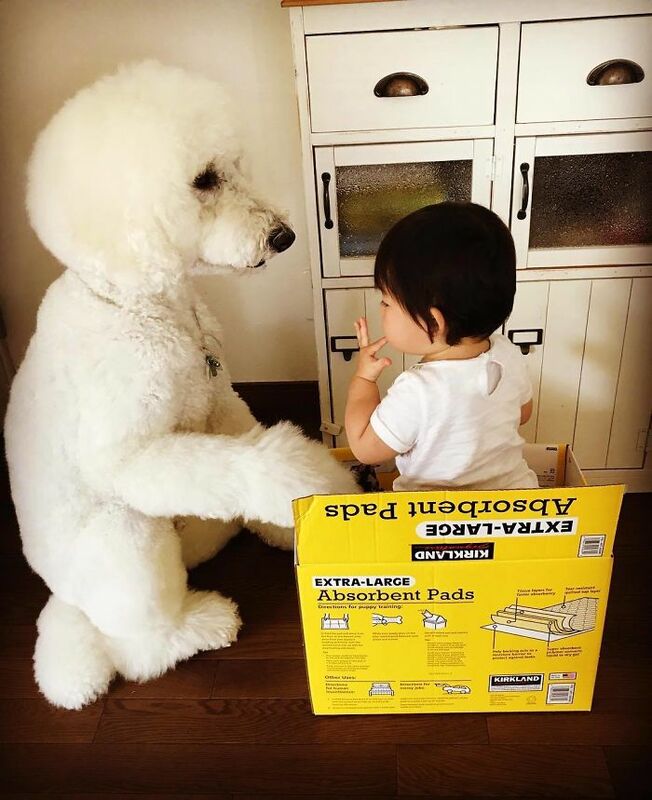 Therefore, your children should all experience the love of a pet to grow and have great friends in the family. 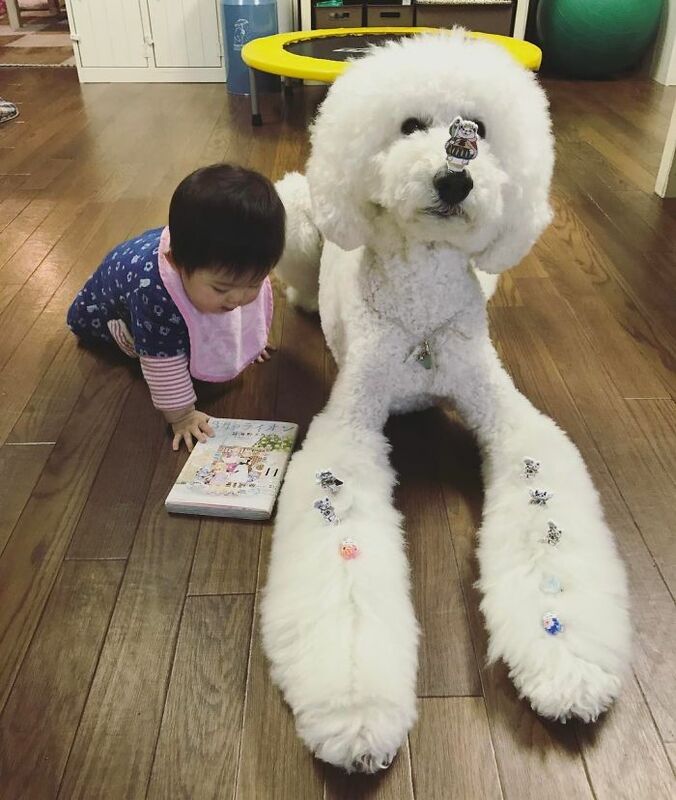 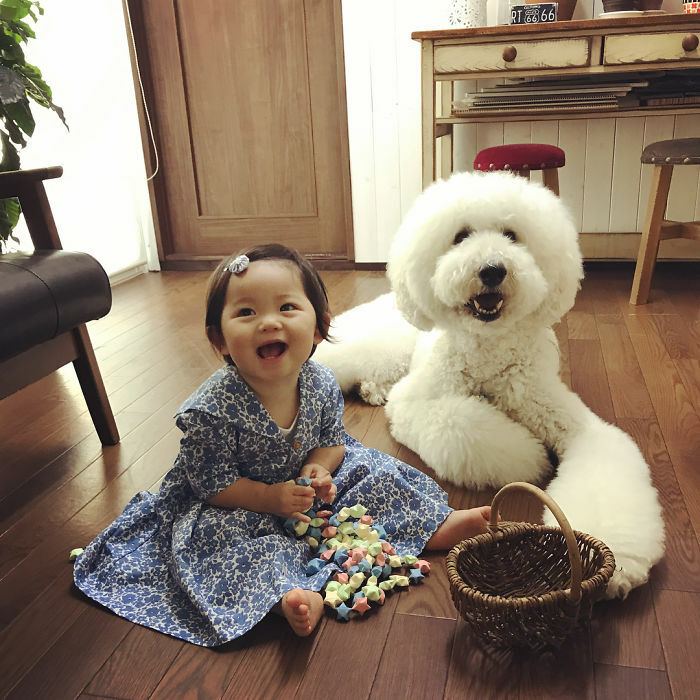 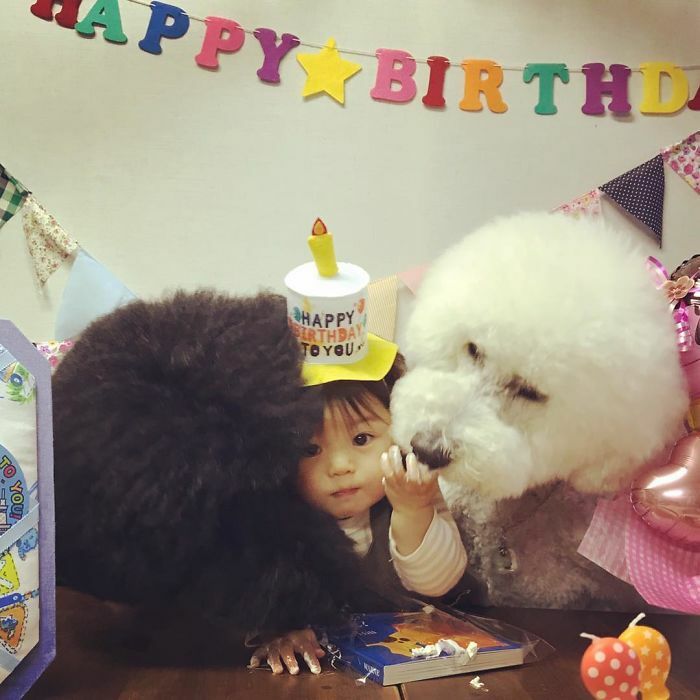 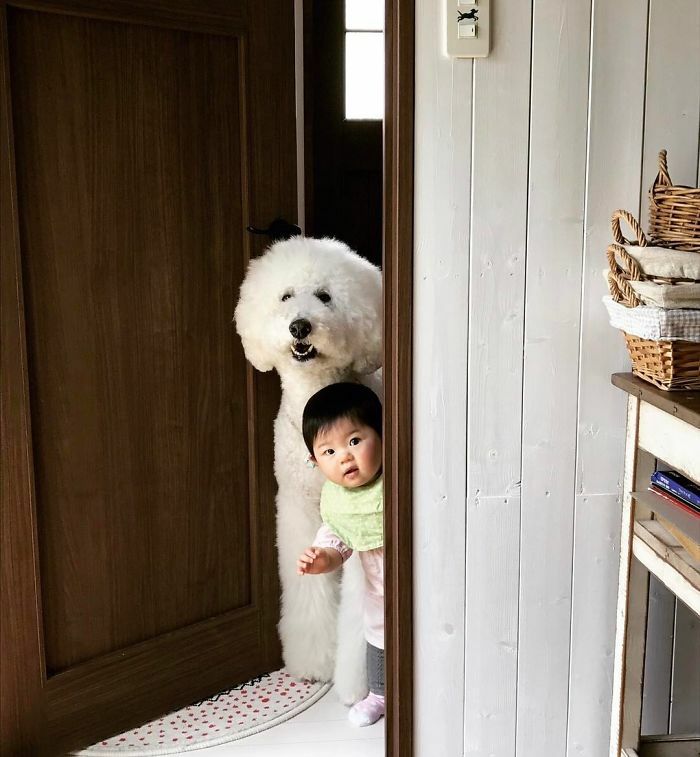 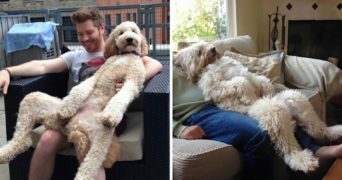 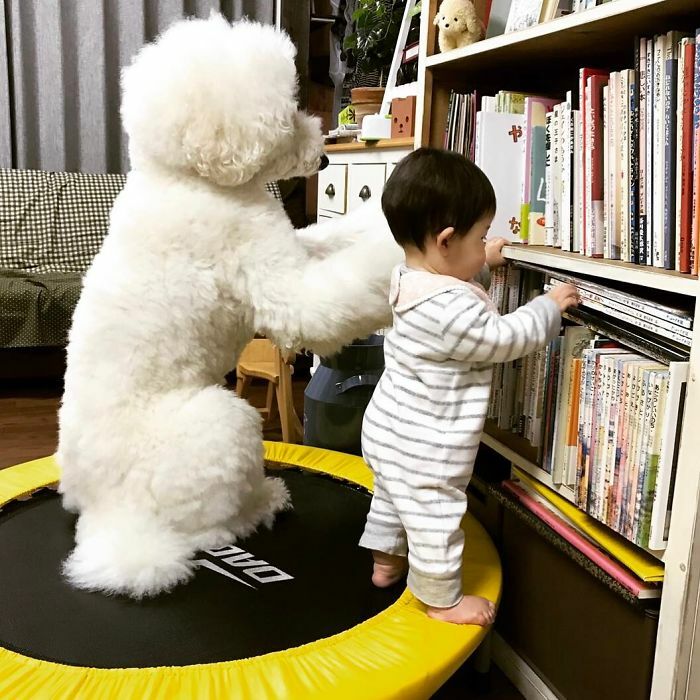 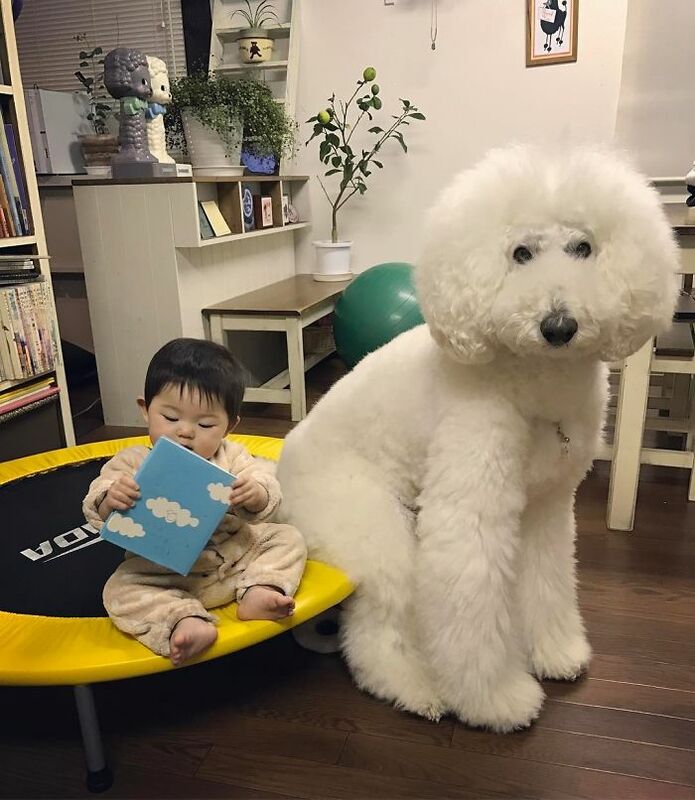 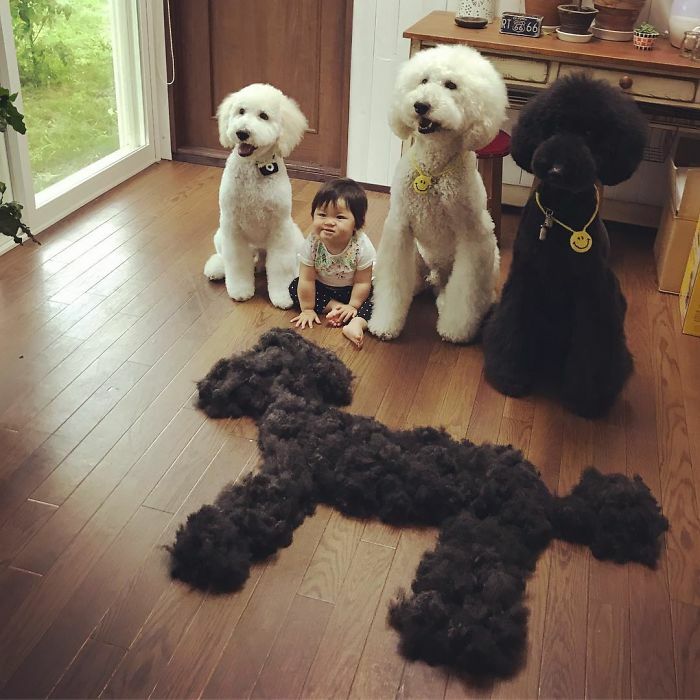 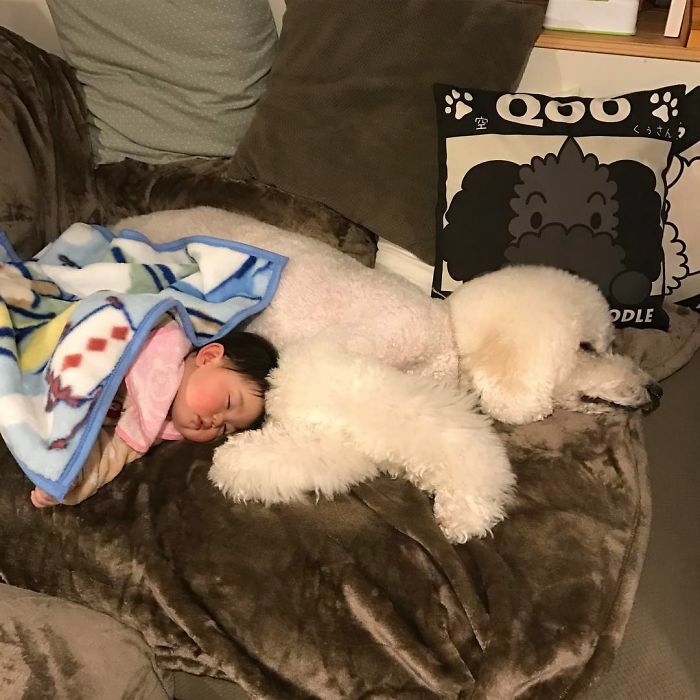 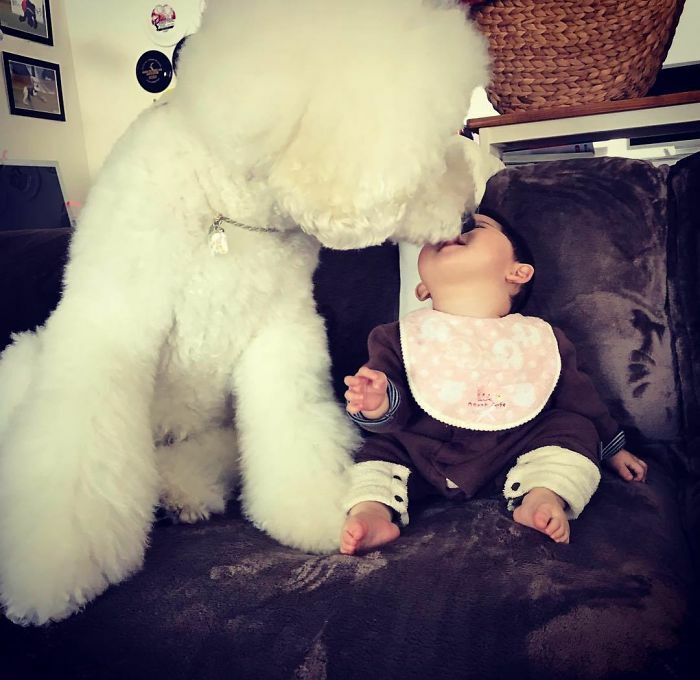 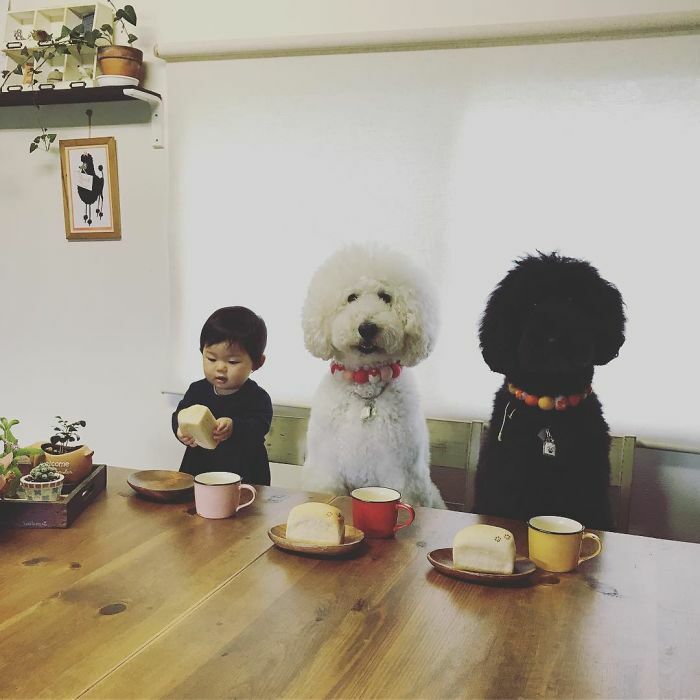 Meet Mame, a one-year-old Japanese girl and her friend – Riku, a giant poodle. 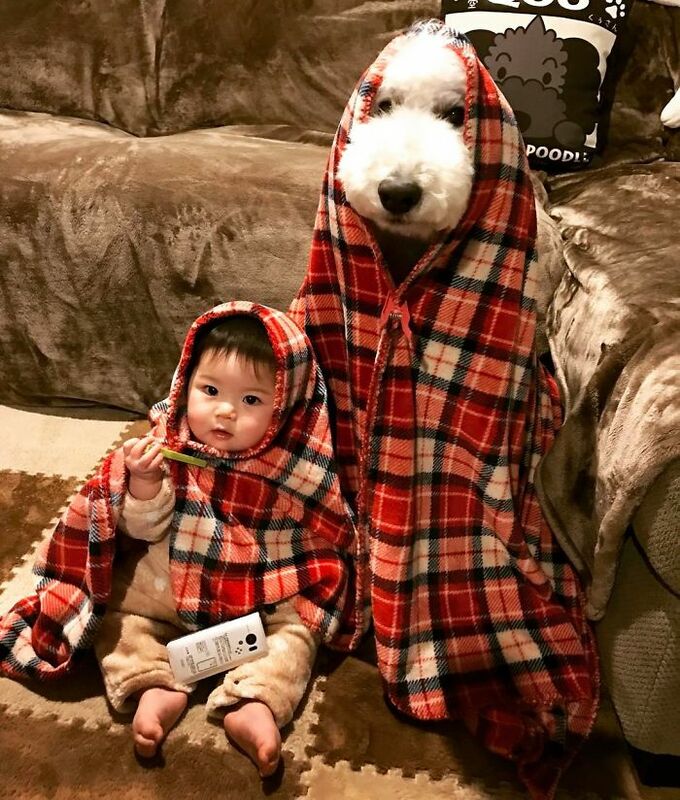 They are the cutest besties you’ve ever seen. 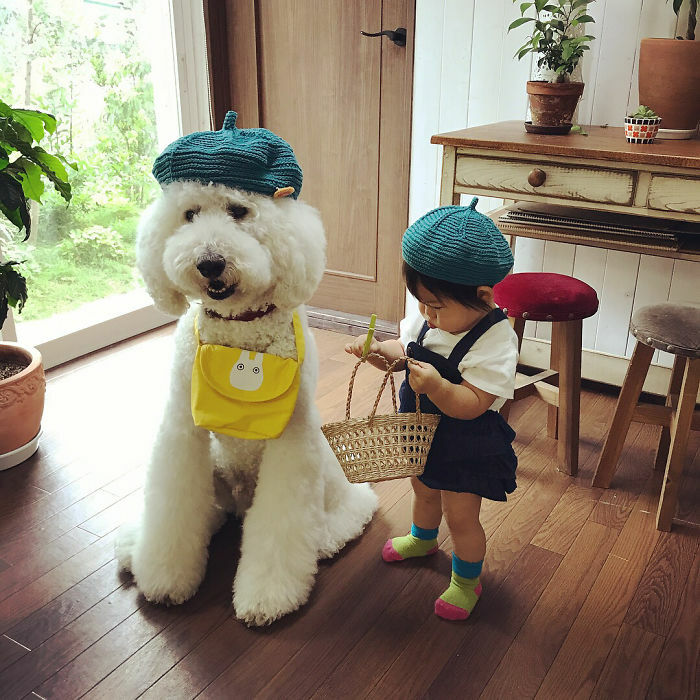 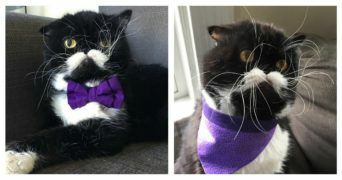 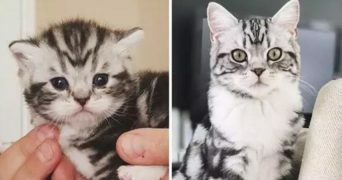 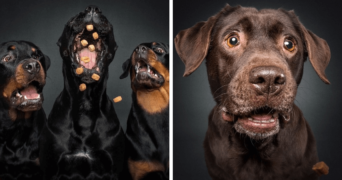 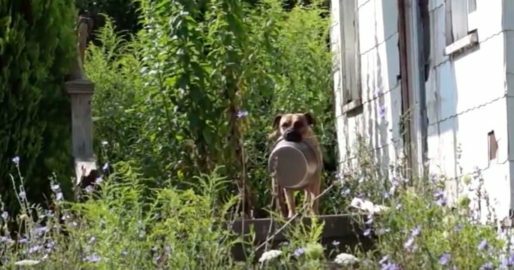 These two became famous when Mame’s grandmother shares their adorable adventures on Instagram and they’ve gained already around 80k followers. 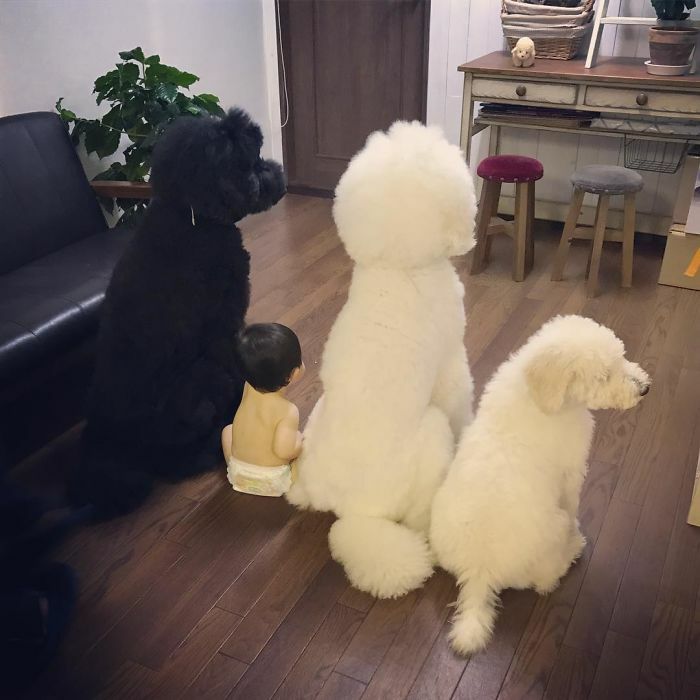 Mane’s grandma also has two other dogs, Gaku and Qoo but Mame and Riku are inseparable. 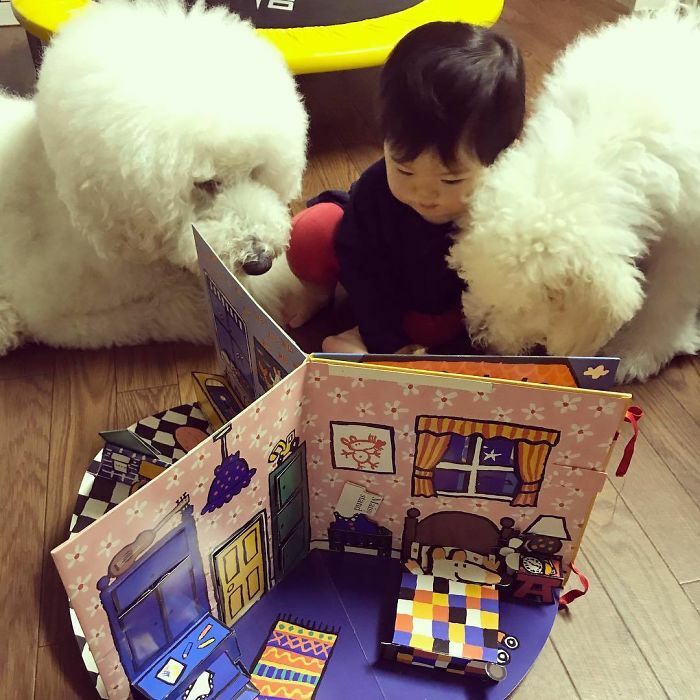 Looking at their photos on Instagram, you can see they are eating, sleeping and playing together and they’re rarely far from each other’s side. 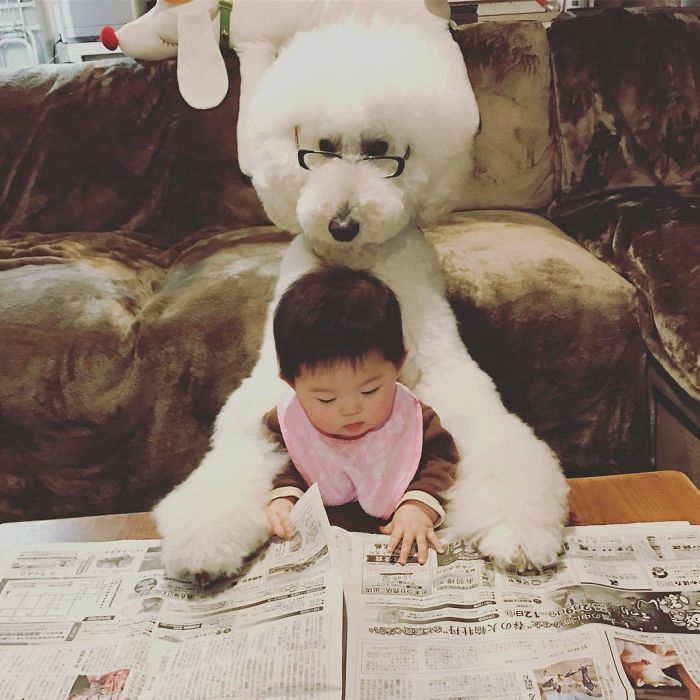 So, prepare yourself to enjoy photos of the Japanese girl and her pet poodle. 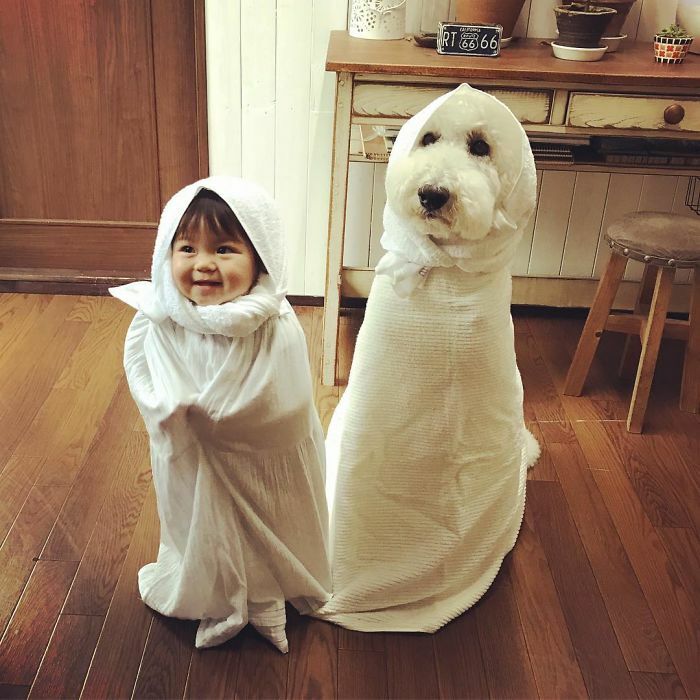 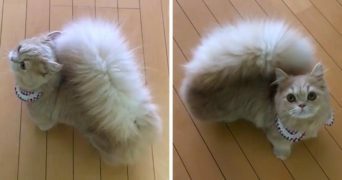 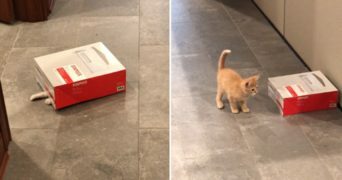 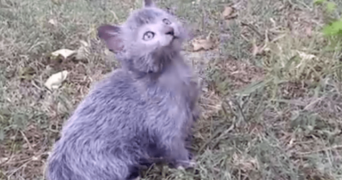 I make sure that these photos will melt your heart and will be the cutest thing you see today. 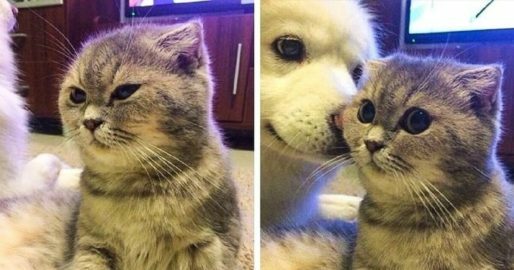 Scroll down to enjoy and don’t forget to share it with your friends if you had a friendship like this.